Steve Cowper was the Governor of Alaska from 1986 to 1990. Sometime during his tenure the chef working at the Governor’s Mansion was interviewed about foods the governor liked. 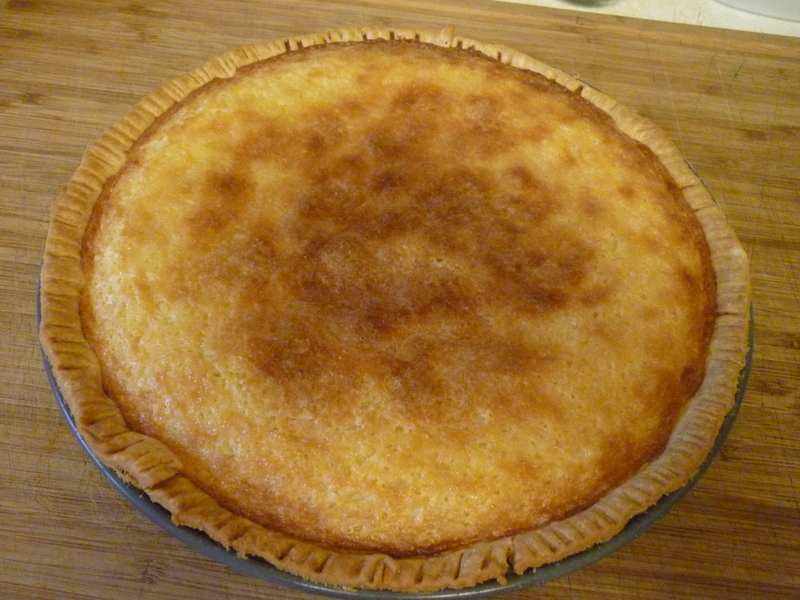 She gave this buttermilk pie recipe as being a favorite. Let butter soften. Add sugar to butter and cream together well. Add flour and eggs. Beat well. Stir in buttermilk, vanilla, and nutmeg. Pour into unbaked pie crust. Bake 45-50 minutes on lowest oven rack at 350 degrees. Cool completely before serving.